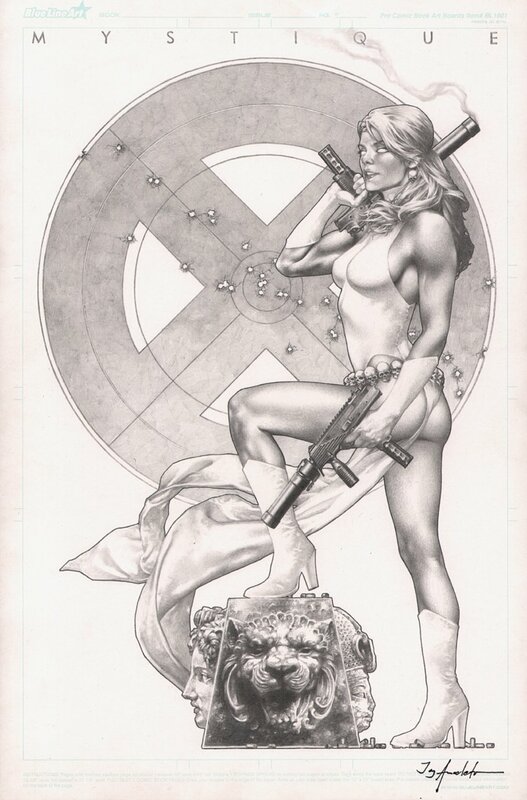 Check out this incredibly detailed Mystique Pin-Up drawn by the great Jay Anacleto, who is best known for his highly detailed and photo-realistic pencil work on 'Athena Inc.' (2002) and 'Aria' (1999) for Image Comics in the USA. He has also done art on 'Aster' for Entity Comics, cover illustrations for the 'Freefall' series and other titles by Marvel and Image. In 2008 he illustrated 'Spawn: Godslayer' and teamed up with Kurt Busiek to illustrate 'Marvels: Eye of the Camera'.